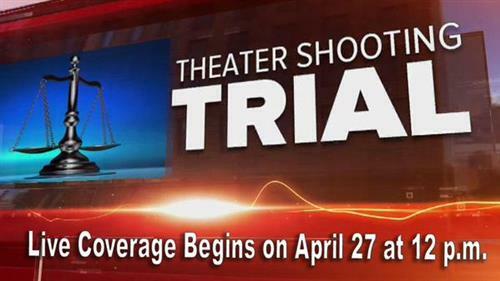 RIGHT NOW: Prosecution about to deliver opening statements in #theatershooting trial. "Holding our survivor family close in thought & heart, strength & love. God help us all." 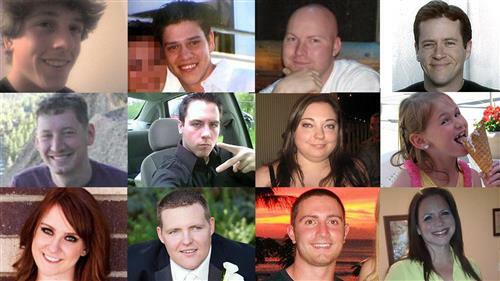 "Thank you all for all the support being shown to the Aurora victims & survivors. So it begins..."
Judge Samour calls 10 minute break. Judge Samour: Encourages jurors to be friendly with each other, talk about sports, current events - but NOT the trial. Instructed not to share any opinions on trial until final deliberations. Judge Samour: Jurors do not know whether they are alternates or not - to make sure they continue to pay attention. 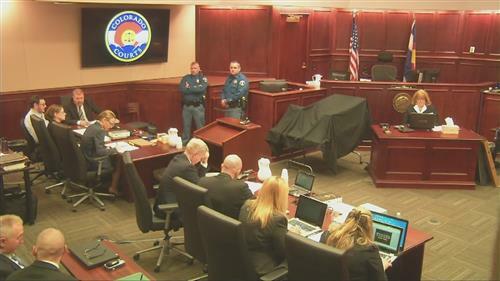 Judge Samour: Jurors must decide whether James Holmes had a "diseased or defective mind" at the time of the act that made him incapable of knowing right and wrong. 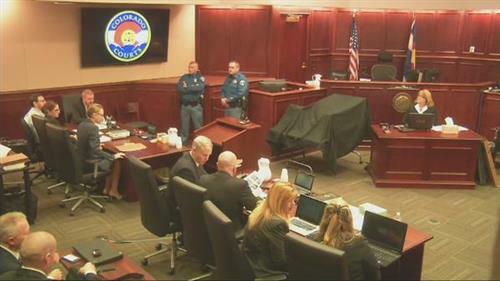 Judge Samour: Prosecutors must prove James Holmes acted "after deliberation and with intent," and "knowingly." Judge Samour: You should not read anything into the number of objections sustained or overruled. Why am i getring an error and not able to watch? Someone's cell phone just went off in court... Judge Samour: "At least it was a good jingle." 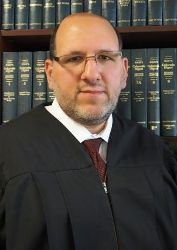 About District Court Judge Carlos Samour: Appointed to the court in 2006, he took the bench in 2007 and is in the midst of a term that lasts until 2016. He became the chief judge for the Eighteenth Judicial District Court upon the retirement of Judge William Sylvester on July 1, 2014 (Judge Sylvester originally oversaw the Holmes trial, but was replaced by Samour). Samour received his undergraduate degree in psychology, graduating with honors, from the University of Colorado at Denver. He was awarded his J.D. degree from the University of Denver. Judge Samour: No one will read jurors' notes - even after the trial. Judge Samour: This trial may take 4-5 months. Tells jurors they it is their choice to take notes or not, but note-taking must not detract their attention from testimony and the conduct of witnesses. Urges jurors to rely more on their memory than notes. Judge Samour: "You must not think I have an opinion for anyone or against anyone." 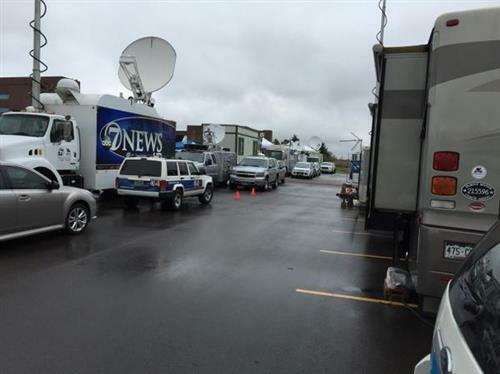 7NEWS making you this promise .. this trial is about the victims not just the shooter. Compassionate trial coverage with expert context now! I can't hear anything how do you turn on the volume? @CaseyHettrick: Please try refreshing your page. 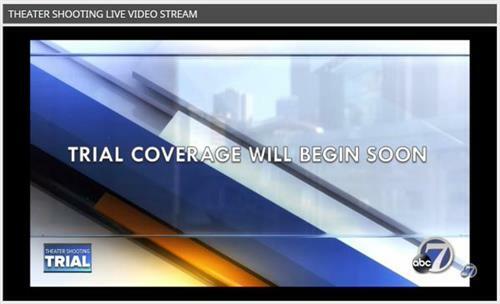 The video still says "Please stand by"
Judge Samour: To protect the privacy of jurors the media is prohibited from contacting/communicating with jurors, their friends, family or acquaintances. The jurors are entering the courtroom. Judge Carlos Samour has entered the courtroom.